The first tip is applying light concealer to your lips to create a more full appearance. Place some light concealer in the center of your lips and blend with a brush or your fingertip. This effect helps the lips appear larger without buying new makeup products. The second beauty hack is no-heat curling. If you want beautiful curls, but don’t want to damage your hair with heat, get that bouncy and natural look by wrapping your hair in a twisted headband. Twist your hair around a headband and either wait several hours or sleep with this wrap on your head. Once you wake up or wait for several hours, you can remove the wrap and enjoy bouncy and beautiful curls. 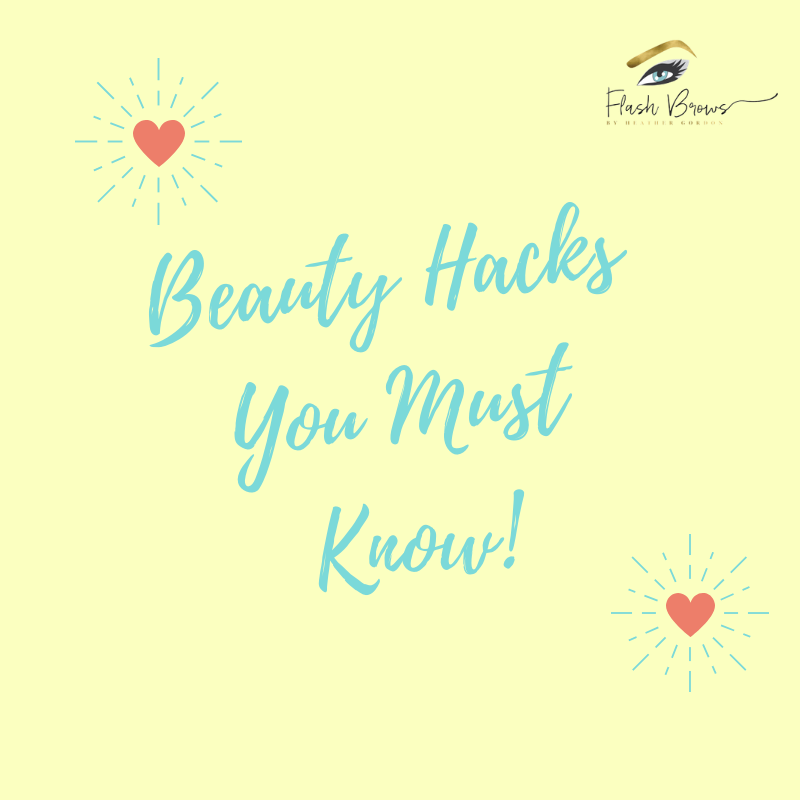 The next beauty hack tip we have is microblading. With microblading, you can wake up every single day with perfect eyebrows. This semi-permanent makeup procedure uses a small blade to apply pigment to the eyebrow area for a more symmetrical and defined shape that is flattering and trendy. If you want ideal eyebrows every day, but don’t have the time for pomades and powders, think about microblading!
! We hope to work with you soon and help you enjoy this remarkable beauty hack!